In the early days of polygonal graphics – the race for ever greater graphical detail often took precedence over what simply looked good. 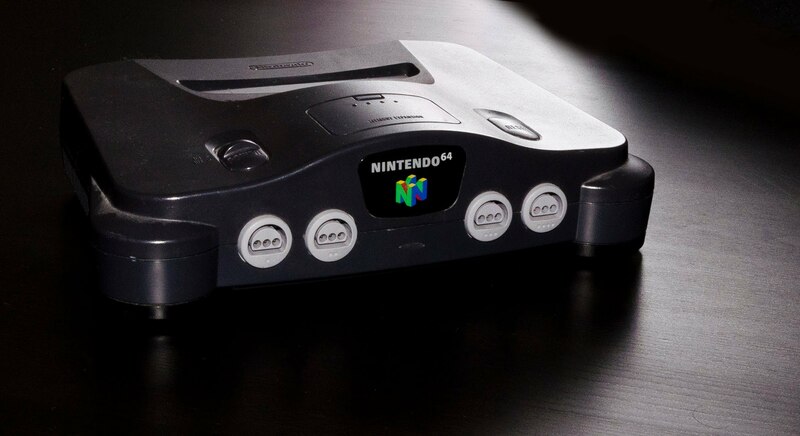 As such, many games of the N64’s generation have aged rather poorly. Kirby 64: The Crystal Shards, with its remarkably simple, bold, colourful, and basic style, still holds up. What’s there to say… Crystal Shards is a Kirby game, but that’s kind of the joy of this back to basics title. The idea this time is that a nefarious group known as Dark Matter have taken over the planet of Ripple Star, shattered the only thing that can defeat them – a crystal – and scattered its shards across the galaxy. In an era when many developers were obsessed with adding a third dimension to their 2-dimensional franchises, Crystal Shards maintains the classic gameplay of its predecessors. Kirby 64 plays like just about any other mainline Kirby game. You walk, float, and fight your way through stages from left to right, sucking up enemies and either spitting them back out or absorbing their powers. What’s new is that you can also absorb multiple abilities to build wilder and more powerful attacks. This title also throws in the occasional segment where you get to play as King Dedede. Kirby’s old nemesis reluctantly joins the good guys this time, and lends a hand… and hammer. Crystal Shards is comprised of 22 normal levels and 6 boss levels split across 6 worlds, with levels covering all the usual themes, from desert to cave to overly aggressive tree. Smartly, Kirby 64 dodges the N64’s weaknesses by relying on bright, bold, but very simplistic polygonal graphics to present it all in vibrant 2.5D. Levels are completed just by getting to the end and defeating a boss, but each contains three crystal shards to find. Most crystals are dropped by bosses or mini-bosses, but some are simply hidden, sometimes in less than obvious places. Finding all the crystals will open up one more level and a chance at the game’s best ending. Kirby 64 was criticized upon its release for, well, being a Kirby game. Too easy, too simple – but coming from a time when developers were still learning the ropes of 3-dimensional gameplay and all too often asking too much of gaming hardware, Kirby 64 is a refreshing return to a tried and true formula. Let me know what you think of Kirby 64 and the Definitive 50 in the comments section below. Don’t forget to rate and subscribe. Special thanks goes out to cubs2084, who recommended this game for the Definitive 50. Check back next week for entry #39 on the Definitive 50 N64 games.